It is April 1st and companies that work with Bitcoins and other crypto currencies are releasing clever or not so clever new ideas or projects as a fun and engaging way to celebrate the day. Of course we are talking about jokes, not something real… or is it? We’ve collected some of the more interesting and fun April 1st Jokes here, so if you have not yet seen them do enjoy and remember, these are jokes and not real things or upcoming projects or products! 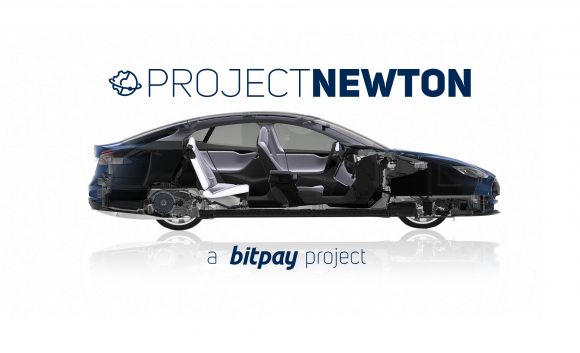 – The BitPay Klondike is a car powered Bitcoin ASIC miner supposedly capable to provide users that get it installed in their cars with 400 GH/s hashrate being powered from the reclaimed kinetic energy generated by braking the car. – Newegg Introducing Own Cryptocurrency called EGGCOIN, the online retailer does accept Bitcoin as a form of payment, but they are actually not really launching their own egg-based altcoin. – ChangeTip SCAN is a device that will turn paper currency (fiat) to digital currency such as Bitcoin by scanning your dollar bills and exchanging them for Bitcoins and then destroying the physical bill, well not really. – Greece Will Adopt the Bitcoin, so apparently the finance minister of the country wants to move from Euro to Bitcoin, well, not really. – Bitreserve Introducing Adamantium and Orichalcum, the service really introduces some interesting new fictional precious metals. – Spondoolies-Tech SAT10 Mega CPU SHA256 Miner to be released in limited quantities, a special Intel NUC-based PC being able to achieve 100 TH/s SHA-256 hashrate using the CPU for mining with specially optimized mining software. – CoinDesk Launches Moon Bureau, the crypto currency news site is relocating their operations to the Moon and employees will be able to return back to Earth when the Bitcoin price passes the $5000 USD mark.